Canada is a gigantic country. How do you choose which province or territory in Canada you would like to immigrate to? Many immigrants will follow the fairly traditional route of heading to major urban centres that already have substantial populations of new Canadians and permanent residents. Places like Toronto, Vancouver, or perhaps Montreal or Calgary. But there’s a problem with that strategy. While these major urban centres offer a lot of job opportunities compared perhaps to other cities or regions of Canada, the high cost of living in areas like housing, as well as the competition from other immigrants for good jobs, makes them less than ideal places to settle for some. So, given that Canada is an enormous country that extends far beyond places like Toronto or Vancouver, shouldn’t you consider all your options when putting together a plan to immigrate to Canada? Let’s drill down into Canada’s provinces and territories and come up with a ranking based on a set of clearly identifiable factors that go towards making them an attractive destination, or a place you should avoid. Remember, there is no one-size-fits-all when it comes to these rankings. It all depends on your individual needs and skills. Remember, there are major differences within the provinces too. We hope instead that our ranking encourages you to start thinking about the possibilities across Canada, and not just in major metropolitan areas. In other words, you’re going to disagree with some of these rankings. And that’s a good thing. The most geographically isolated of Canada's provinces - try driving there - also has some of its worst weather; there's a phrase in Newfoundland for being unable to travel due to bad weather. It's like living in the Territories but with more services and more people, and (slightly) better weather. The least populous of the prairie provinces was all the rage a while ago, when it experienced a resource boom. But Saskatchewan lacks most of what the other provinces have, in addition to people. It ranks behind in transportation, health care, education and jobs. Manitoba has more people than Saskatchewan and slightly better services and opportunities. Depending upon where you are in either province, you could believe you were in the other province, they look that similar in parts. So it's a slightly better Saskatchewan? Canada's smallest province jumps this high up in our rankings because of its skewed job openings rank; fewer people, less competition. But we should note, fewer total job openings in fewer industries too. Nova Scotia is right in the middle in many ways; it really far east, but not quite the farthest east of Canada's provinces, it's smack dab in the middle in Education and jobs and smack dab in the middle of this list. Alberta was not so long ago, the driving force in the Canadian economy, making it the richest province. Times have changes since the end of the oil boom but it is still one of the four biggest economies in Canada and it has the added bonus of having better scenery than some other provinces. BC should be first on this list. However, if you don't live in the Lower Mainland you might find it hard to get around, especially if you don't own a car. Ontario is the first choice of over half the new immigrants to this country. That's a good argument in favour of not settling in Ontario, as there are way fewer jobs. Quebec is not the best province to settle in by any single metric but, on average, it's better than most more often than any other province, which puts it #1 in our unskewed ranking of the four factors. the problem, and why there is an asterisk above, is language. If you move to Quebec, through its separate immigration system, you need to speak French, a language that is not spoken in much of the rest of Canada despite its official status. If you settle in rural or small town Quebec, or in Quebec City, you can get by with just French. But if you move to Montreal, you need to speak both languages. Strong language ability in three separate languages is a big hurdle to live in Canada's what might otherwise be Canada's best overall province. How On Earth Is Quebec Ranked #1? There are trade-offs when deciding where to apply to live and settle in Canada, whether under a Skilled Workers program or under a Provincial Nomination. While PEI’s low ranking in education may be an issue, its job vacancy rate is by far the best in Canada and its health and transport systems rank very respectably. BC seems a clear favourite in the first 3 rankings, but its transportation system ranks last. If you’re going to live on the coast that’s not such a problem however. Of course, your housing costs will be tremendous in most cases if you live anywhere near Vancouver. Ontario scores well in almost everything, but its job vacancy rate is disappointing. You’ll find plenty of competition trying to secure well-paid employment in Ontario, in other words, along with high housing costs in the metro Toronto area. Alberta’s transportation ranking is a little low, but it’s solid in every other category. Quebec is top 3 or 4 in every category, but you must speak French to settle and work in the province. 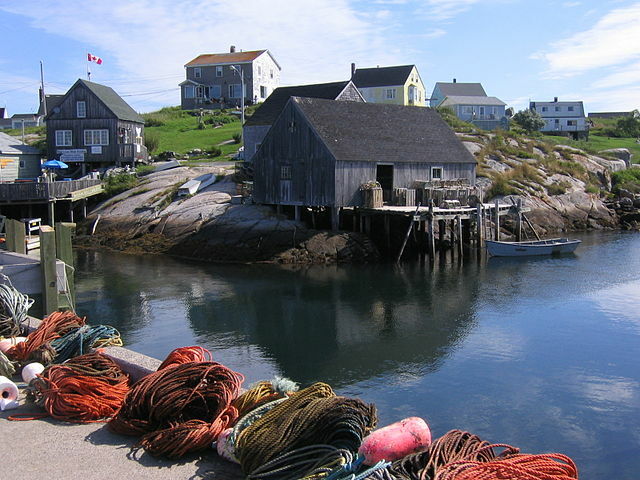 And Nova Scotia is a pleasant surprise for people considering where to work and live. And the Atlantic province has perhaps Canada’s nicest summers regardless of what people on Vancouver Island might insist. So how did we come up this ranking? Keep reading to find out. Mobility is key in today’s global, disruptive work environment. People and things have to get where they’re going quickly, safely, and efficiently. We use Statistics Canada’s overview of the country’s Transportation System to see how good the basic transport infrastructure is in each province or territory. Then we use the Fraser Institute’s study of provincial transport systems to help us rank the provinces and territories. While the Fraser Institute’s survey dates from 2008 it still is a helpful indication of the quality of transportation across and between provinces. Highways, airports, and ports don’t get built overnight, or even in a single year, and often take years to complete. In terms of controversies, why isn’t BC ranked higher given that its freight transport system is ranked 4th for example? And conversely, why isn’t Alberta ranked lower seeing that it comes in last in terms of freight transportation? Finally, should Ontario take the top spot away from Nova Scotia if it only has the 5th best freight transportation system among provinces? This depends on how the study constructed their analytical models and the so-called weights (the relative importance they chose to assign to any one of the 23 measures they compared between provinces). Also, perhaps Ontario beat Nova Scotia by a large margin in the passenger transportation measures and therefore deserves the top spot. The surprises are that some unexpected provinces show up quite well in this transportation survey. The top 6 provinces include all the Maritime Provinces except Newfoundland and Labrador. And Newfoundland & Labrador ranked 1st in the freight transport category, so it’s more than a little surprising that they only ranked 9th overall. It could be because of their low ranking in terms of passenger transportation. This is likely because most of Newfoundland’s freight transport goes by sea and St. John’s port is able to easily handle the provinces freight needs, while roads in the province might not be upgraded as much as roads in Ontario, for example. The Conference Board of Canada ranked the provinces according to the quality of their health systems, with comparisons to other countries’ health systems as well. The survey was carried out in 2015 and shows some interesting results. SR Health means Self-referenced health outlook; how good people feel their health is. SR Mental Health means Self-referenced mental health outlook; how people feel about their mental health. What can be clearly seen is that some provinces and territories have noticeably lower-ranking health systems. Newfoundland & Labrador, Manitoba, Saskatchewan, Yukon, Northwest Territories, and Nunavut all have indicators that rank D or D-. In the case of Newfoundland & Labrador this seems to be due to a problem with diabetes, while in the other provinces and territories the health outcomes for First Nations people would seem to play an important part in these relatively low rankings on specific indicators. What can also be seen is that Canadians have an overly optimistic self-assessment of their health. The only noticeably low self-assessed indicator comes from Nunavut, where the territories self-assessed mental outcome is ranked a D. Dark, cold winters might not help, but the Northwest Territories have a self-assessed rank of B on mental health, so there must be other factors at play. Now let’s rank the provinces and territories overall with respect to each other and to similar developed nations with advanced health care systems. British Columbia has a world-class health system it would appear, ranking 3rd just behind the Swiss and the Swedes. Ontario comes in at a very respectable 7th place ahead of the Canadian average but behind Australia, Norway, and France who lead the B group. Quebec is just behind the average for Canada with a reasonably respectable 11th place. Prince Edward Island and Alberta trail Quebec but come ahead of Germany, a country that has a well-ranked healthcare system. New Brunswick finds itself in the middle of the C group, just behind the UK and just ahead of Austria and Belgium. Nova Scotia, Manitoba, and Saskatchewan lag behind in the D group behind Denmark but ahead of the USA. Finally, Newfoundland & Labrador, Northwest Territories, and Nunavut come in last at the back end of the D pack, with Nunavut scoring a D- ranking in many of its individual indicators as shown by the previous table. The top 3 provinces – BC, ON, and PQ – are also the 3 most populous ones. This is hardly surprising seeing healthcare’s overhead costs are substantial, and when you have a larger tax base to collect revenue that helps pay for all the hospitals, clinics, doctors, nurses, and other healthcare professionals and workers, you’re able to build up a better infrastructure. In other words, when it comes to quality healthcare among Canada’s provinces and territories, it pays to be big. While the report analyzes several aspects of Canada’s education system on a national and provincial basis, what interests us the most is the part of the report that focuses on adult education. This is key from an immigration perspective, but it’s also key to Canada’s workforce in general. As technology becomes an increasing part of the overwhelming majority of jobs, having a literate workforce that is also digitally fluent is key to maintaining and perhaps improving Canada’s status as a developed economy. So how do the provinces rank when it comes to adult education? Adult working Canadians have inadequate literacy, numeracy, and problem-solving skills. Most provinces rank a C or D across all 3 indicators, with BC, Alberta, and Ontario being the exceptions to the rule. There is a relatively small benefit to having either a college degree or a university degree, in terms of additional income received as a result of a worker having a degree. The only exceptions being Newfoundland & Labrador and New Brunswick to a lesser extent. As the report states, Canada spends noticeably less than the USA on worker training and education, around 68 cents on the dollar. As well, only 55% of companies in Canada that were surveyed believed that learning was a top priority compared to 74% a couple of years previously. As well, it also is reported that immigrants have lower literacy, numeracy, and problem-solving skills compared to native born Canadians. This is likely due to a lack of sufficient fluency in English and/or French. Immigrants who might posses impressive or satisfactory literacy, numeracy, and problem-solving skills in their native language tend to score lower when tested in English or French. Cleary, both employers and employees need to make an effort to focus on continuous education and upgrading or maintaining competencies in a disruptive and changing work environment. As with health, the wealthier and larger provinces rank noticeably higher, despite having much higher populations of immigrants. However, the effect of new Canadians whose first language is neither English nor French does show up in the survey of Adult Education and how work-related training is sorely lacking in Canada. Finally, let’s take a look at where the most job vacancies were in the period between the third quarter of 2016 and the third quarter of 2017. While job vacancies are a dynamic data set that shift and change according to specific events like investments in new factories or developing industries, or even commodity prices, some provinces seem to be a doing a better job of creating job opportunities. Yes, size matters and you have to go where the work is, but it’s also important to weigh the number of job vacancies against the size of a province’s economy and its population. These results might seem a little surprising until you realize that Ontario’s labour force is 3 times that of BC’s and almost double that of Quebec’s. And among the provinces, PEI has by far the smallest labour force so any event, like the opening of a new plant or business, affects their rates to a far greater extent than a similar event in the other provinces. Clearly though, BC, Quebec, and Alberta are doing an excellent job of creating opportunities for new workers to join the work force or to switch to better paying jobs. Manitoba and Nova Scotia deserve mention as well as they have quite impressive numbers. Newfoundland & Labrador may have suffered from a drop in oil prices that affected their economy which is highly dependent on natural resources, and caused a drop in job vacancies. A final comment: Job vacancies are by far more fluid and subject to change than rankings in things like education, health, and transport. So while the ability to get a good job offer is key be sure to consider the other factors as well, because they will play a very important part in determining the quality of life you and your family will have in your new home in Canada. To figure out your potential taxes, check out this handy calculator.